Now I wonder if you are going to do the Spider-Man and Batman crossovers. I love reading your articles and hope to keep doing so for a long time. 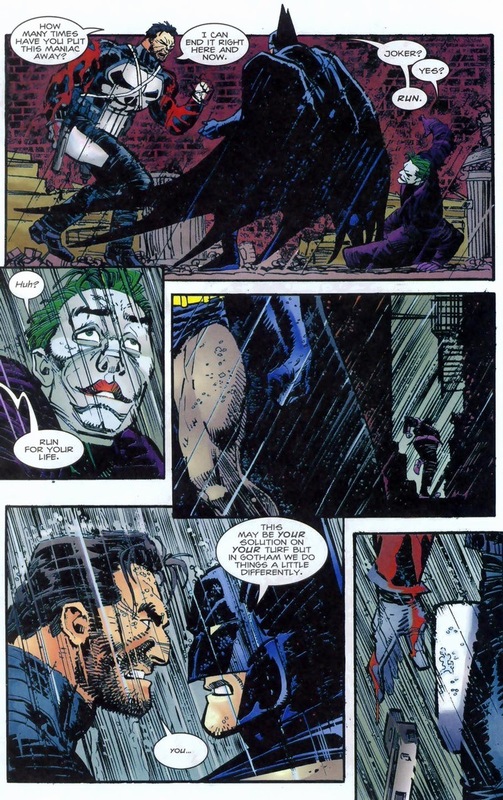 I recently shared your Joker/Harley relationship article with some people. They were huge fans of that romance… then after reading your page had second thoughts. Some of them said they were going to look up your blog, I hope they did. Cheers, and thanks for a great bit of escapism. Loved this crossover. 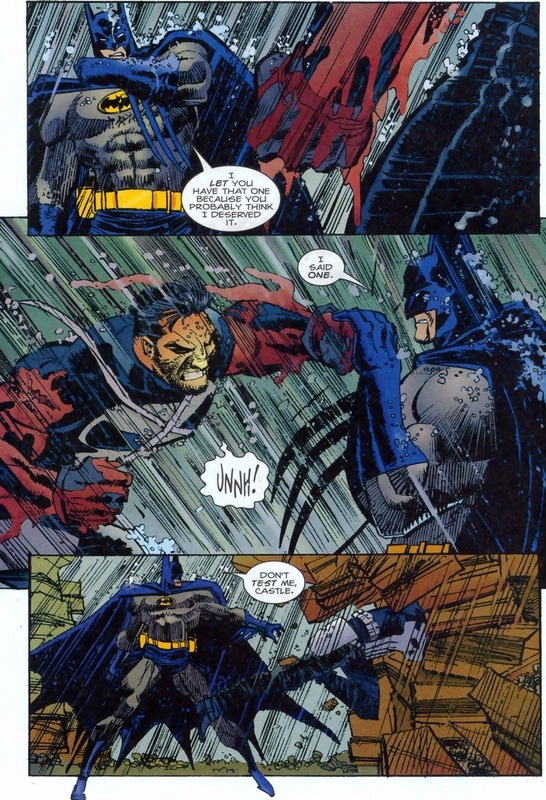 Always wanted a what if?/Elseworld title where Bats makes good on his threat and locks Frank up in Arkham. 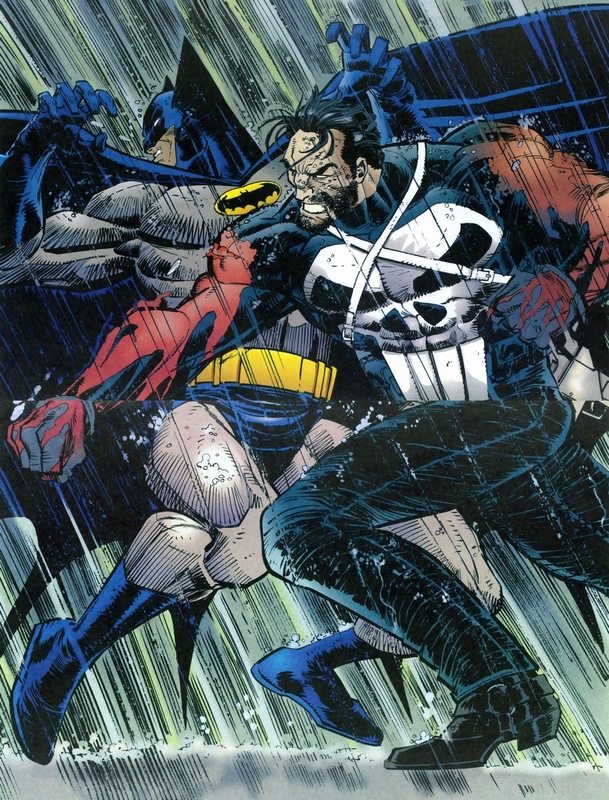 Punisher, on the other hand, is a serial killer. The chances that he’s never killed an innocent by accident are basically zero; you don’t spend years spraying assault weapons around without a stray bullet going somewhere it shouldn’t. Even if we ignore that, it’s all too easy to make a mistake and believe something that turns out not to be true. Oh hey, Eaglejarl, fancy meeting you here. Not serial killer, more like spree, and much of Punisher’s concept is shared with slasher films (and Invader Zim), namely, that everyone is evil, stupid, crazy, and tacitly deserving of death, with one or two exceptions. (Usually the protagonist, their best friend if they have one, and very rarely their crush). 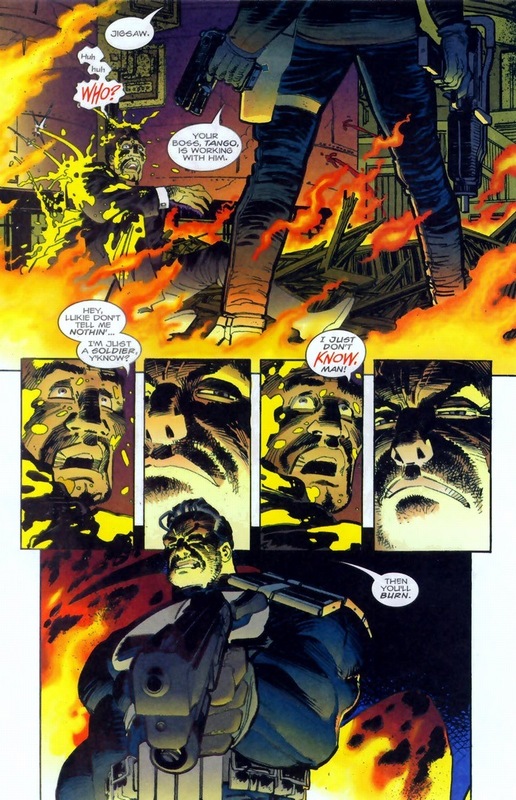 In the Punisher’s corner of the universe, No Quarter Given probably would make sense for the cops – but they’re all corrupt, “in on it”, and too stupid to do anything, anyway. It’s a very misanthropic view of the world. Assuming I’ve read the tropes right, anyway. My apologies if I’ve actually slandered it, because it’s not something I’ve spent much time on. 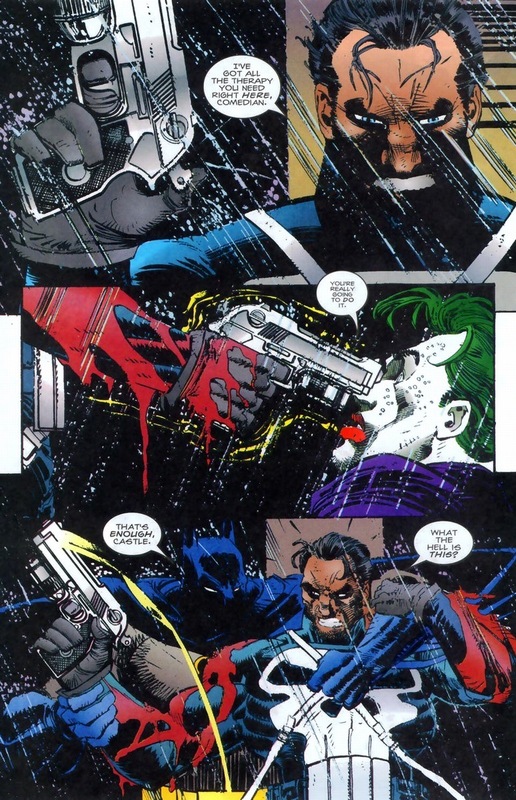 I don’t think Punisher is morally superior to Batman. 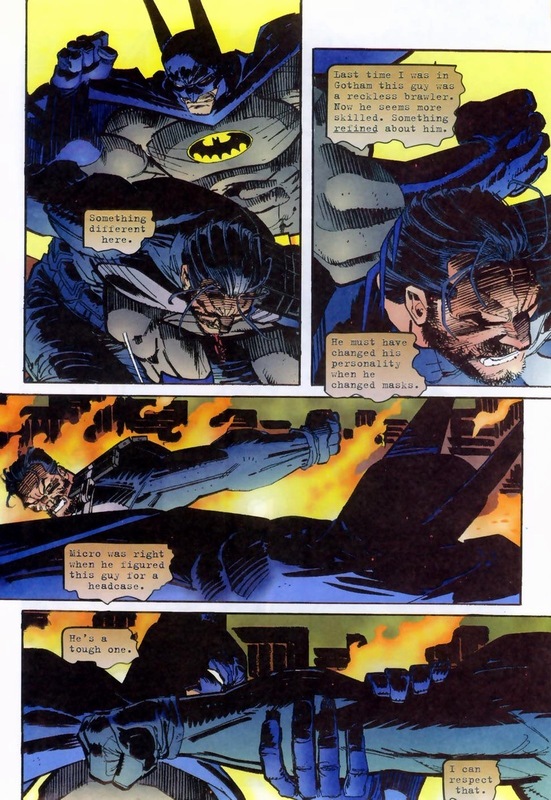 Both have issues, even in concept – Batman is a rich guy who beats up criminals, who are almost exclusively poor, and hasn’t gotten a prison or sanatorium built which can actually hold, let alone rehabilitate, his rogues gallery. Punisher, on the other hand, not only commits the legal and dictionary definition of mass murder quite regularly, but also isn’t great about checking targets (citation: he’s tried to kill Spiderman), or being careful of collateral damage. Both destabilize and scare gangs in a way liable to convince them to militarize, which probably causes more trouble for bystanders in the long run, although I suspect it’s less bad when there guy doing the violence is known for not killing people. That said, those are hardly the point of their respective series. 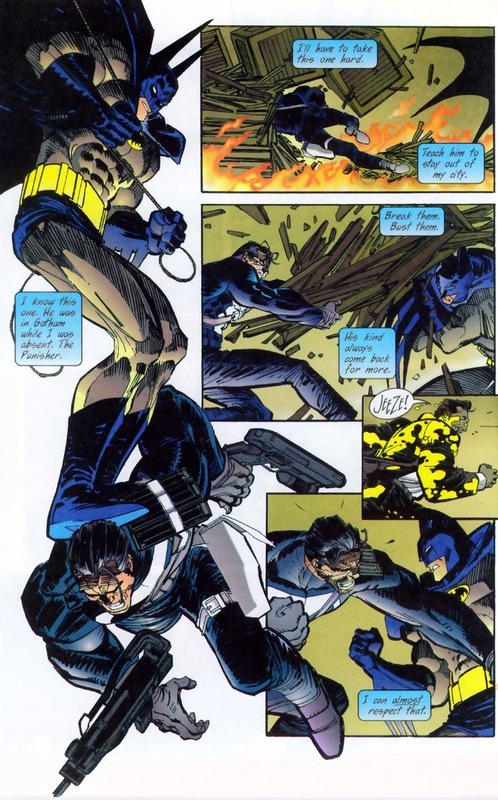 Batman is a guy who punches people, doesn’t kill, and carries gadgets. 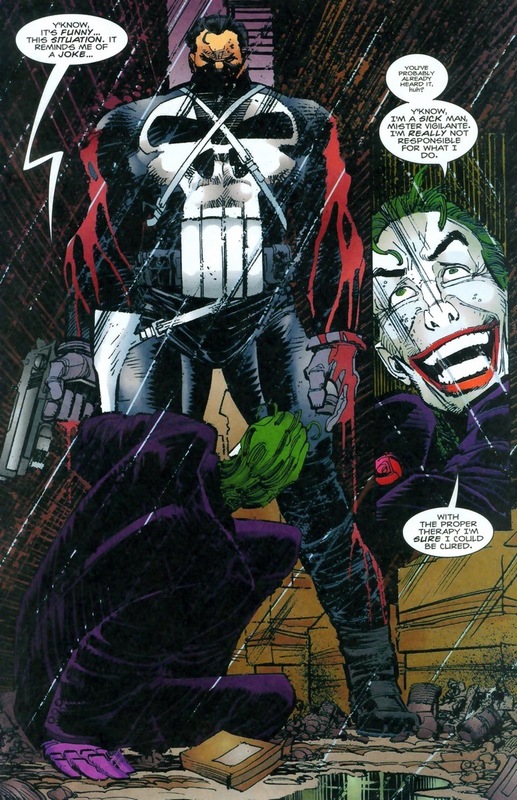 Punisher is a guy who kills people (Very Bad People) with his enormous guns and powerful firearms. 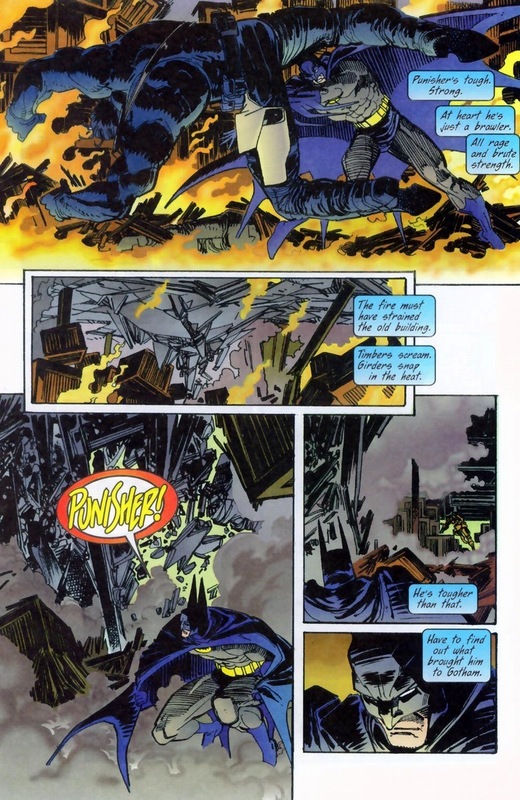 (See, it is a play on words, worthy of the Punisher’s name.) Both are motivated, at least theoretically, by revenge for their dead families. And I can see how the latter might be more appealing to people. But it isn’t quite morally superior. 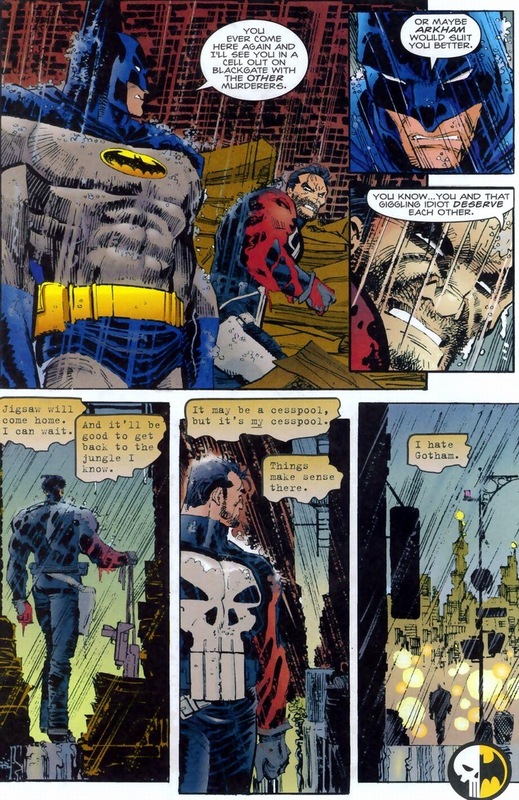 TL;DR: Punisher may be more appealing, internally consistent, and good at what he does than Batman, but his job in or out of universe isn’t to save lives, and I don’t think he does save more lives than Batman does. That’s one boast that falls a bit hollow.